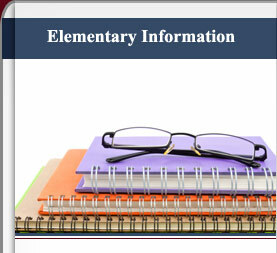 Welcome to UME Prep’s Elementary Program home page. We have designed our academic program in such a way that teachers and parents work together to build a solid educational foundation for the students in their care. Students in our academic programs not only master core concepts and learn life skills, but they also build character and foster positive relationships along the way; and because the teaching and learning reach beyond the classroom and extend into the home, parents have the opportunity to weave their individual family values into the learning process. UME Prep believes that the development of a strong work ethic is one of the (often missing) keys to both academic and vocational success. Broadly speaking, we define “work ethic” in terms of self-controlled effort willingly invested in fruitful labor toward the achievement of worthwhile and morally sound goals. As such, UME Prep includes as key elements integrity, diligence, responsibility, respect, cooperation, humility, initiative, creativity, and perseverance. In addition to a strong work ethic, our graduates will need a strong background in core academic content in order to enjoy greater opportunities for post-secondary and vocational success. This core content is defined first and foremost by the Texas Essential Knowledge and Skills (TEKS), which will serve as our foundational curriculum. This curriculum is vertically aligned and progressively more rigorous.